Zabaleta's contract runs out in the summer, however, and, according to the ​Evening Standard, Pellegrini is keen for him to continue playing at the London Stadium. 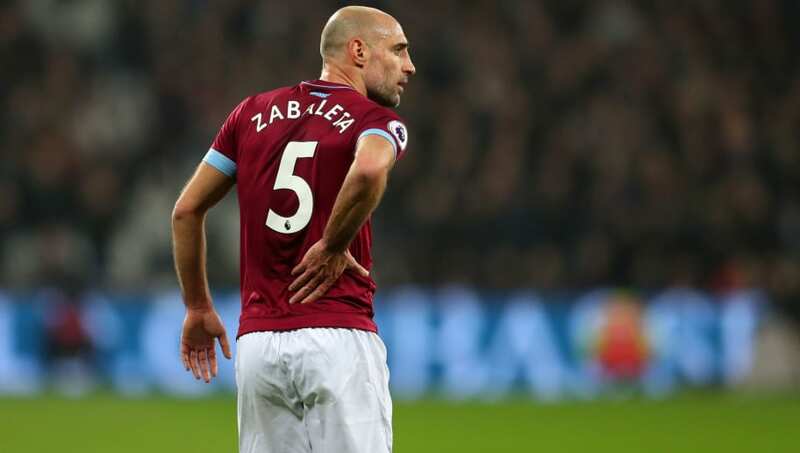 The Chilean, who won the Premier League with Zabaleta in 2014, is pleased with Zabaleta's influence in the dressing room, where he acts as a role model to the younger players. There have been suggestions that Argentinian could return to ​Manchester City in the summer as a member of Pep Guardiola's backroom staff, but Zabaleta has previously made it clear that he has no plans on retiring yet. In other news, ​West Ham's Felipe Anderson has praised Pellegrini for helping him earn a recall to the Brazil squad. The winger has been called up for the upcoming games against Panama and the Czech Republic, despite having only made one previous appearance for the Selecao, back in 2015.